As we hit the heart of summer, many people are planning that trip away. Husbands and wives, lovers as well as people in a relationship all look to a vacation to rekindle romance or jumpstart affection. As we hit the heart of summer, many people are planning that trip away. Husbands and wives, lovers as well as people in a relationship all look to a vacation to rekindle romance or jumpstart affection. 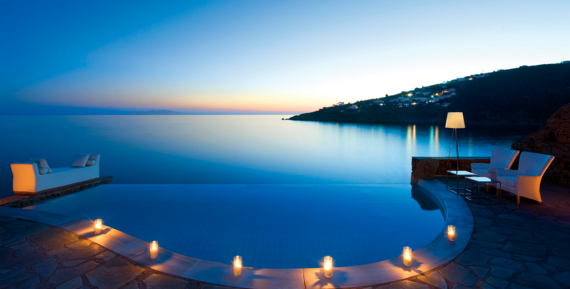 If you are looking to renew your love this summer, the Greek isles can be the perfect place to do it. You can help the Greek economy and find true romance in the process. My husband and I took an amorous Greek vacation last summer and we thought it was spectacular. 1. 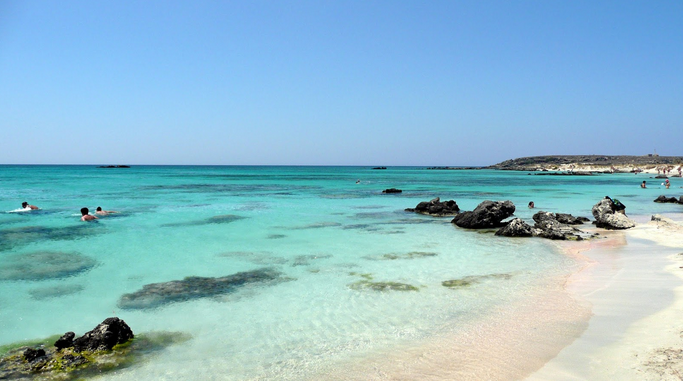 Head to the island of Crete. 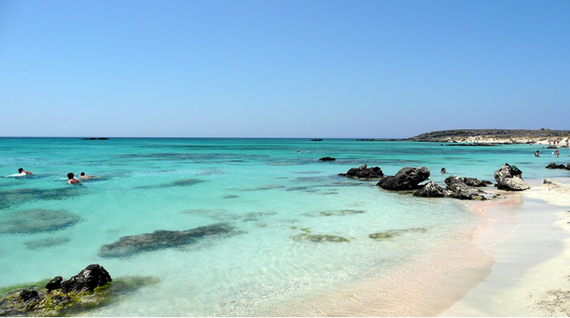 Crete is the biggest island in Greece but when you are there, it doesn't seem that way at all. There are crystalline blue waters and picturesque sunsets that fill the perfect sunny days. 2. The food in Crete is terrific. 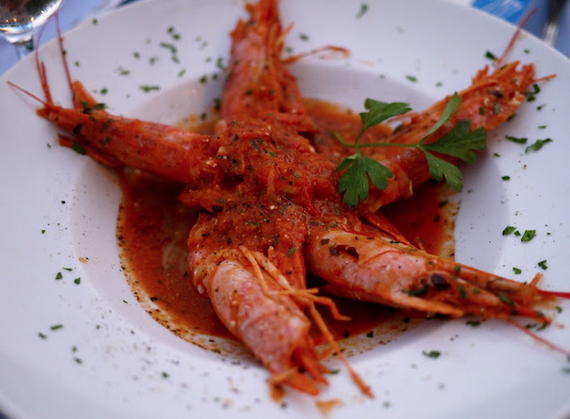 Make sure to indulge in shrimp saganaki and greek salad. Then, set the mood by sharing some Greek vino indigenous to Crete like Vidiano white wine. 3. 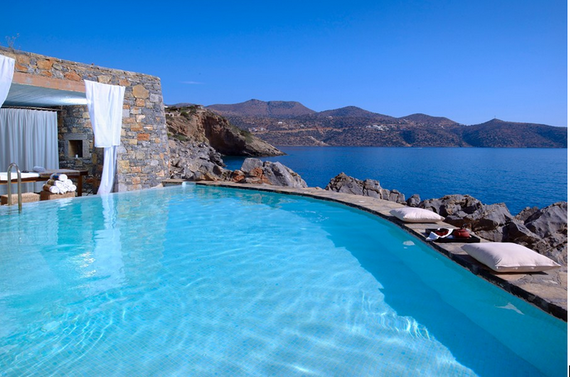 While in Crete, you should stay at one of the sprawling resorts in the area of Elounda or Aghios Nikolaos. We stayed at St Nicolas Bay Hotel and it was truly spectacular. 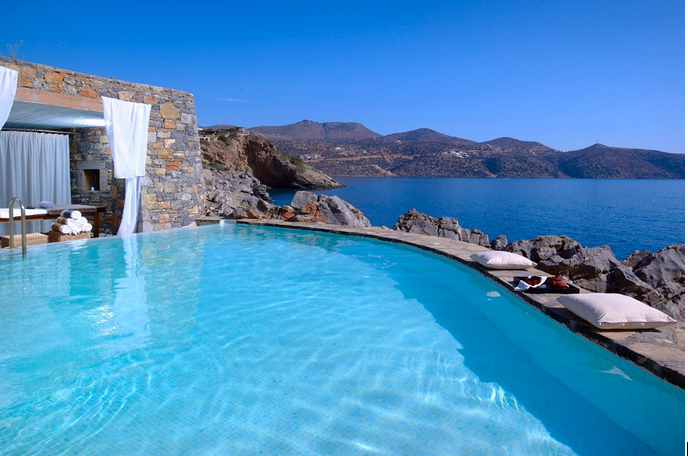 Our villa was directly on Mirabello Bay, which made for romantic evenings of skinny dipping. Make sure to check out the Art Gallery "Argonaftis" where they carry art from a variety of Greek artists. We found a painting that reminded us of our kids frolicking in the sea. 4. Next we headed to Santorini. The island looks like a fairytale town. 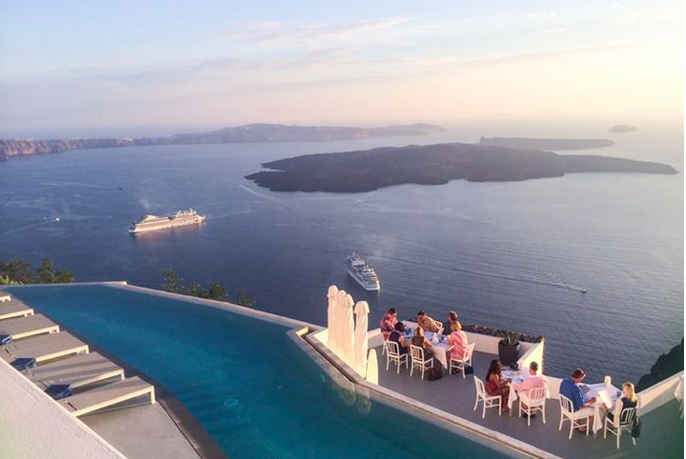 On many days, I was truly speechless at the beauty of Santorini. 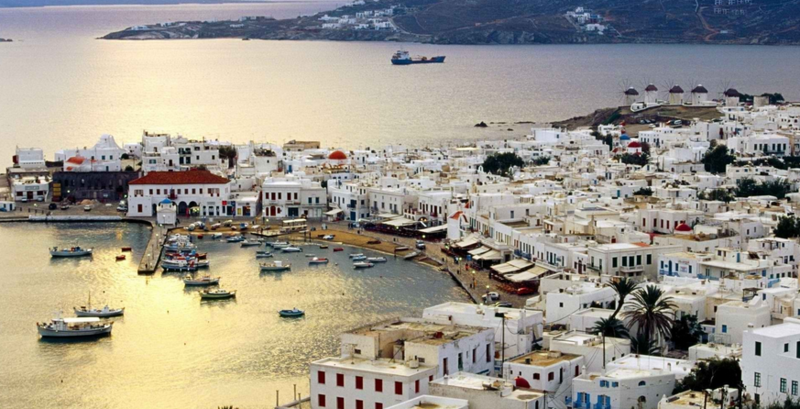 Hands down, if you are looking for romance, you must stay in the area of Imerovigli. The hotels are built into the cliffs and are breathtaking. 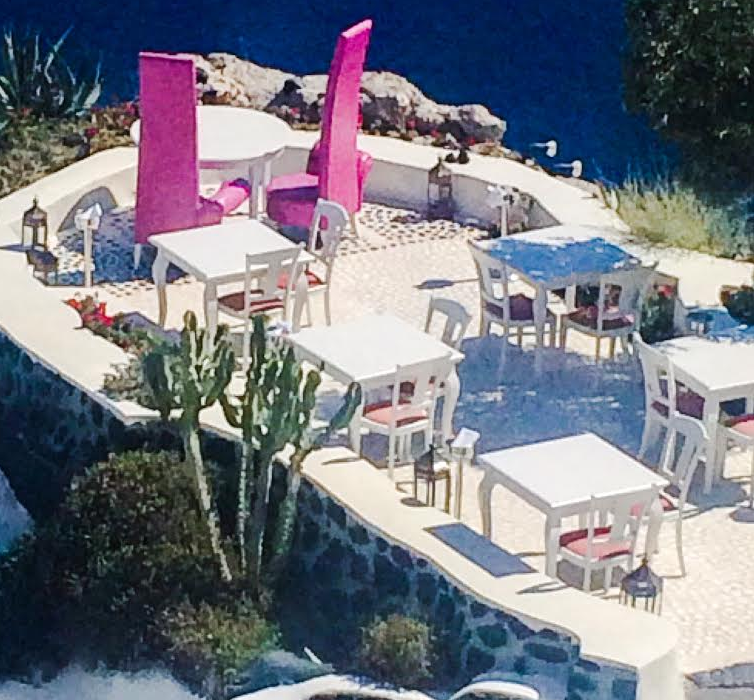 We stayed at the Grace Santorini where each room has it's own splash pool with a direct view of the sea. This is true decadence; the views of the sea are beyond any I have ever seen in my whole life. You can just sit, hold hands, and stare out yonder. 5. While in Santorini, don't forget to rent a 4 wheeler and jet around. It's a tad dangerous, so be careful. However, the excitement of riding on the curvy roads above the beautiful sea will get your adrenaline into high gear and set the mood for intense romance. If you get hungry on the ride, make sure to check out one of the romantic restaurants high above the waters edge, like Archipelagos. 6. 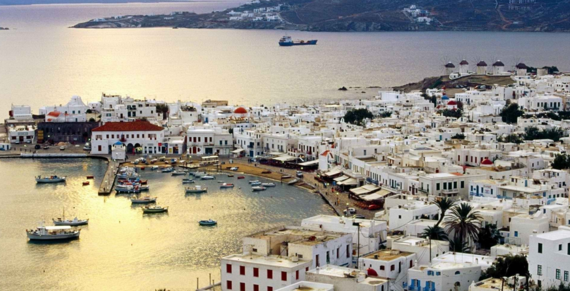 And make sure to take a languid walk to the town of Oia. 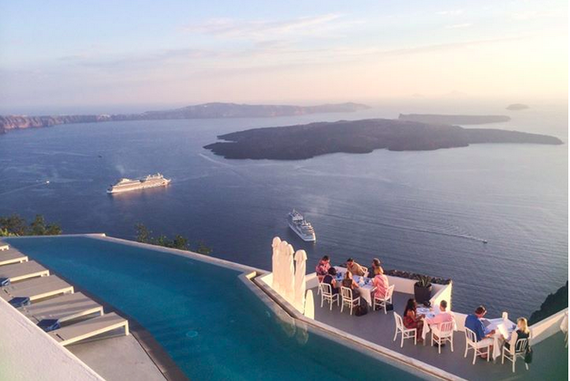 Oia, with all it's tourists is polar opposite to the serenity of Imerovigli, but just as beautiful. Oia is completely whitewashed with just a few splashes of color from the fresh flowers abound. 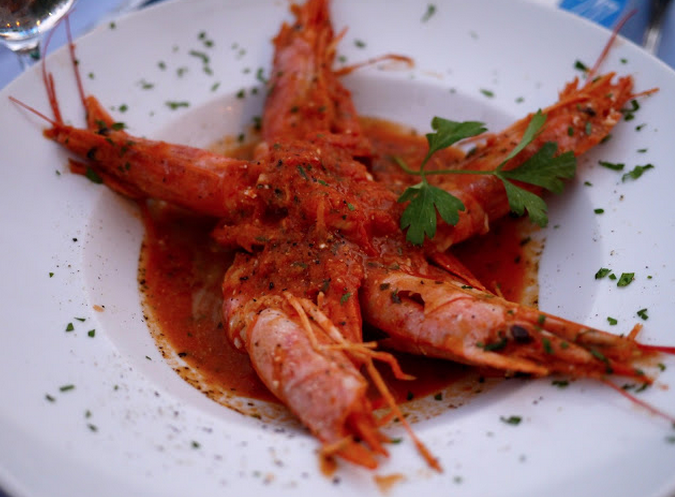 If you are looking for a special meal in Oia before you head back to the hotel, choose the restaurant at the Andronis hotel. You sit out on a jutting cliff in King and Queen chairs and go through a tasting of 7 types of greek wines. You feel like you are on top of the world and more royal than Kate and William. 7. 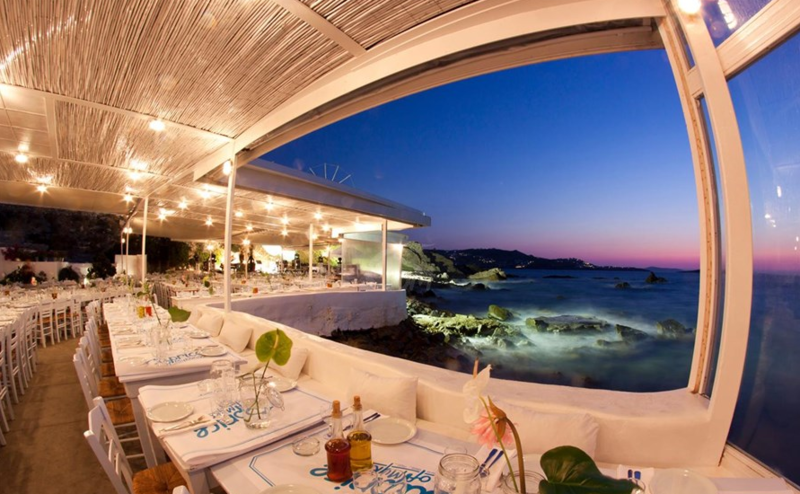 As a last stop, you must head to Mykonos, the trendiest island of Greece. In Mykonos, the action never stops. Things stay open until 6am! The town has so much energy, you can't help but get caught up in it. My recommendation, stay outside the town itself so you can get the peace and quiet, but then head into town to experience Greek nightlife. 8. 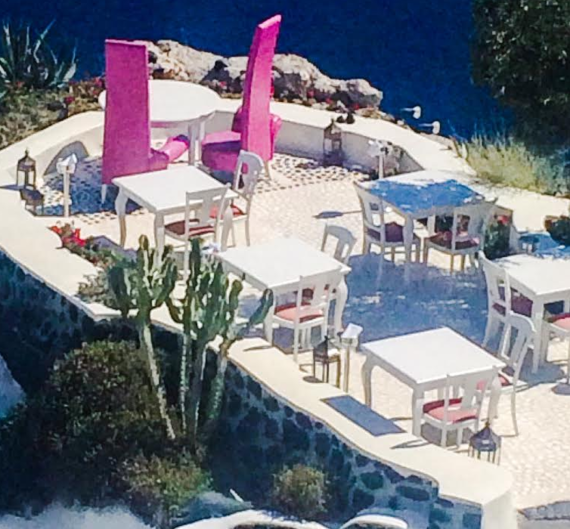 For accommodations, we stayed at Hotel Petasos Beach which was tres romantique. The rooms were modern and sophisticated with deck and pools right on the sea. We loved sitting with a glass of wine and staring out at the boats. And their spa had wonderful signature salt baths that relaxed me to the core. 9. For sightseeing, the Mykonos Windmills are not to be missed. They reflect the light right around sunset and this creates a romantic feeling of enchantment. 10. For eating choices, there were so many romantic ones. 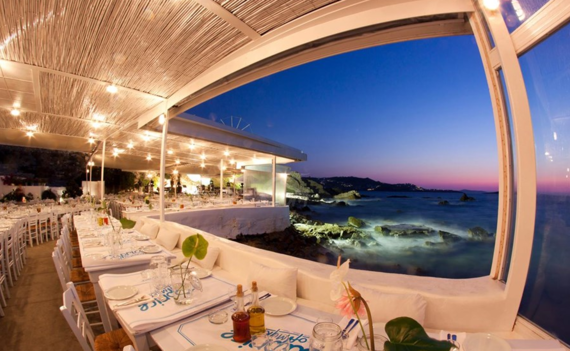 I loved eating at Caprice of Mykonos at sunset- it's right on the water's edge and you feel like you are sitting in the sea. We also enjoyed Koursaros, where the fresh fish and greek paella were delicious. And if you need uber trendy, Nammos is the place- grab your sexiest bikini and head to their champagne dance party that goes all afternoon on the beach. The sensual music will set the mood for the rest of your night! 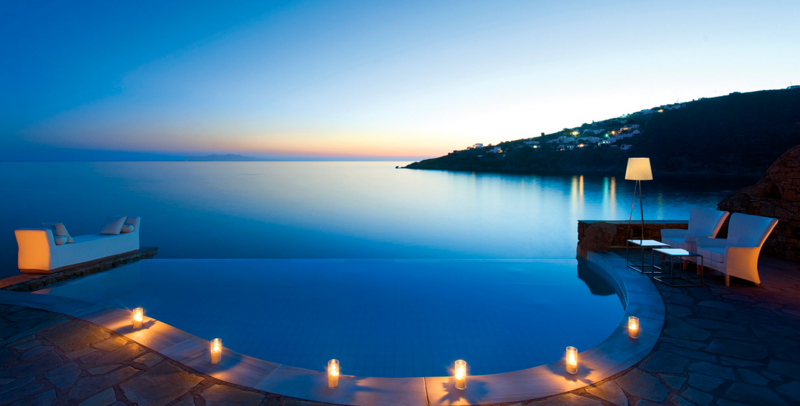 Where else did you find romance in Greece?